Micheal Ray Stevenson (born November 19, 1989), known by his stage name Tyga (a backronym for Thank you God always), is an American rapper. 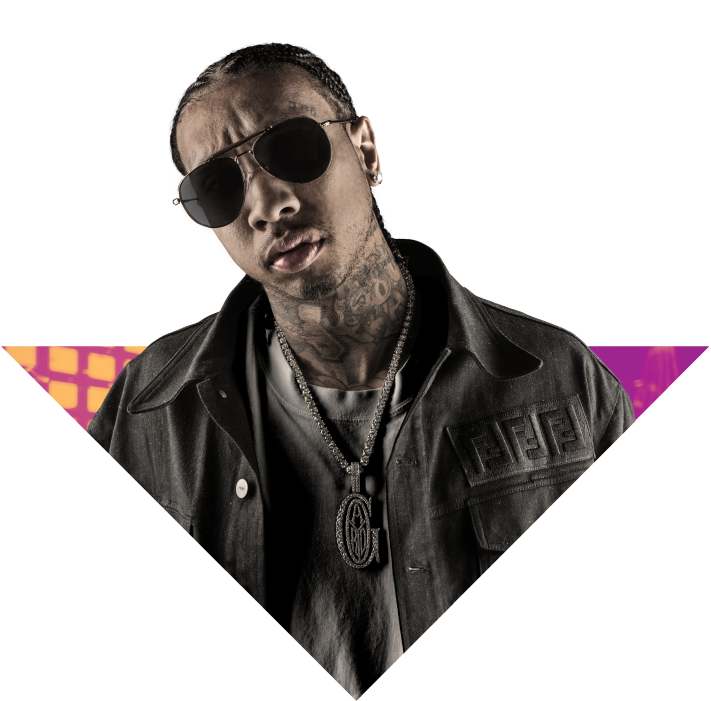 In 2011, Tyga signed a recording contract with Young Money Entertainment, Cash Money Records and Republic Records (formerly Universal Republic Records). His major label debut Careless World: Rise of the Last King, includes the singles “Rack City“, “Faded” featuring fellow Young Money artist Lil Wayne, “Far Away” featuring Chris Richardson, “Still Got It” featuring Drake, and “Make It Nasty“. He released his third album Hotel California, on April 9, 2013, and includes the singles “Dope” featuring Rick Ross, “For The Road” featuring Chris Brown, and “Show You” featuring Future. Micheal Ray Stevenson (born November 19, 1989), known by his stage name Tyga (a backronym for Thank you God always), is an American rapper. In 2011, Tyga signed a recording contract with Young Money Entertainment, Cash Money Records and Republic Records (formerly Universal Republic Records). His major label debut Careless World: Rise of the Last King, includes the singles "Rack City", "Faded" featuring fellow Young Money artist Lil Wayne, "Far Away" featuring Chris Richardson, "Still Got It" featuring Drake, and "Make It Nasty". He released his third album Hotel California, on April 9, 2013, and includes the singles "Dope" featuring Rick Ross, "For The Road" featuring Chris Brown, and "Show You" featuring Future.